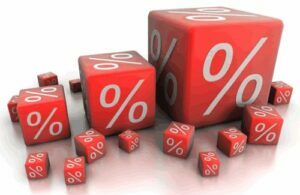 How important is the mortgage rate in your decision to buy a home? In a recent article by Bloomberg News (http://www.bloomberg.com/news/2013-11-05/bernanke-giving-homebuyers-second-chance-with-pledge-mortgages.html) Katleen Howley brought up a point of view I found troublesome. The article spoke about the fluctuations of home mortgage rates. It cited a potential homebuyer who decided not to buy due to a recent rate increase. Let’s examine the numbers and put them in proper a clearer perspective. For a $200,000 30-year mortgage a rate increase from 3.5% to 4.25% will raise the monthly payment by $86. This comes out to about $1,000 per year. For a $400,000 30-year mortgage a similar rate increase (from 3.5% to 4.25%) will raise the monthly payment by $172, which comes out to a little over $2,000 per year. Though these jumps in monthly/yearly payments seem high, and certainly $2,000 a year is nothing to sneeze at, these numbers cannot be examined alone. In order to truly understand the change in payment, these prices first have to be compared to other non-fixed expenses. The reality is that, as Americans, we are constantly at the mercy of variable commonplace expenses that we do not control. Furthermore spikes in some of these, such as gasoline prices, heating oil and gas prices, cost of electricity, tolls, etc. can far outweigh the jumps in monthly payments due to increased interest rates stated above. Additionally, costs associated with home ownership are definitely increasing every year. Things like property homeowners insurance and property taxes, depending on where you live (and definitely in the North East where I live), increase regularly. Chances are that property taxes will go up by more than $1,000 by next year. One thing that we should learn when purchasing a house, or really in any financial decision, is to live within our means. When planning to buy a house we cannot only use today’s income and expense numbers to estimate what is affordable. In our ever-changing world various increases have to be taken into consideration and a sufficient “cushion” needs to be added. This way, if any of the variable payments that can go up do go up, such as the mortgage rate, we can still comfortably afford the monthly payments.